Our Dealership is interested in finding talented individuals that are looking for a Rewarding & Challenging Career in the Automotive Industry. We have many different types of Employment Opportunities ranging from Sales to Service to Management. If you possess the unique ability to consistently provide outstanding Customer Service and a dedication to Excellence, please contact our Hiring manager to learn more. We are looking for sales people that have a passion for the automotive industry. Are you outgoing, articulate & a self starter? Do you enjoy a challenge? Please contact Greg Vigna to learn more. 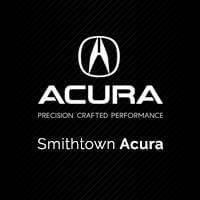 Smithtown Acura is seeking a full time employee to join our BDC team to handle Internet Sales Leads. Please email resume to greg@smithtownacura.com for consideration. Basic IT knowledge is a plus! Although we may not be currently hiring we are always open to accepting applications for consideration for future employment opportunities.